For many lovers of horror, the Gothic and by extension, the Southern Gothic, is the redheaded stepchild of the genre. Few modern and recent converts to horror appreciate what is lovingly called “quiet horror” by its enthusiasts. Too slow, too dull, too unexciting. Not enough real scares to be even considered horror. But to those of us who love and appreciate the tenets of Gothic, Southern and traditional, there are few things that can compete with it’s creeping subtleties; its moody lingering nuance, and its introspective terrors that come from knowing more is out there. The same can be said for Blaxploitation horror. While it has its connoisseurs, and I’d like to include myself among them—Blaxploitation horror has an inordinate amount of detractors. Poor sound and image quality, lack of big name actors, and newbies to movie making are what critics call out most on these movies. Instead of seeing them for what they were at the time of filming—a way for blacks to take center stage in a genre they loved. Once that relegated them to tertiary roles with little screen time. 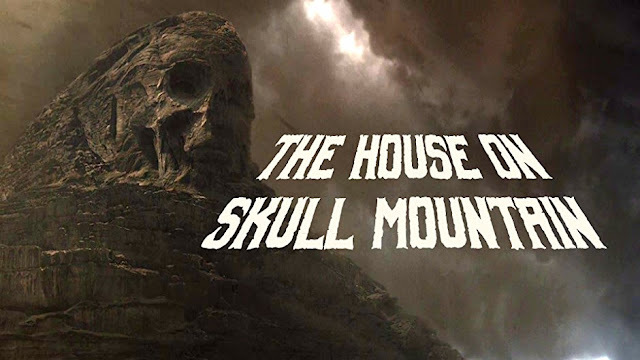 Put these two genres together, the Gothic and Blaxploitation, and you have a movie that checks several boxes for me, The House on Skull Mountain (1974). Pauline Christophe, a descendant of one of the kings of Haiti sends letters to her family members to visit her mansion outside of Atlanta. But the four cousins arrive too late and find she has already died. Soon, they realize death is not the end as they are tasked with finding out who is using voodoo to kill them off one by one. The story is full of family secrets, visions, spectral figures that are portents of death, and sinister magic and spells. All strong pillars of Gothic. Combine that with some of the surreal, rambling montages so frequently used in films of the 1960's and 70's, it makes for an oddly entrancing viewing experience for those that enjoy quieter horror. · The setting is unusual for Blaxploitation horror and is the biggest Gothic influence: a remote mansion, far from the city, enshrouded in decaying vines and roots. Inside, the house is perfectly preserved and decorated in a style of eras long past—vanity tables, china soup tureens, mahogany chifforobes—a great contrast to some of the flamboyant clothing of the 1970's. · Unusual plot: a will reading after the death of a heretofore-unknown wealthy relative rarely features black characters. When blacks are shown as well-to-do, it’s typically not due to inheritance, but to hard work and career success such as Dr. Hess Green in Ganja and Hess and Dr. Walker in Blackenstein. An interesting contrast to non-horror Blaxploitation, which tended to feature urban jungles and characters struggling to survive amidst gangs, drugs, and prostitution. · Characters of African descent as portrayed as various horror archetypes, including the virgin, the fool, and the villain. Brilliantly, it ignores the trope of whore for its women characters. Blacks are not just in leading roles in this movie, but in strong minor roles. 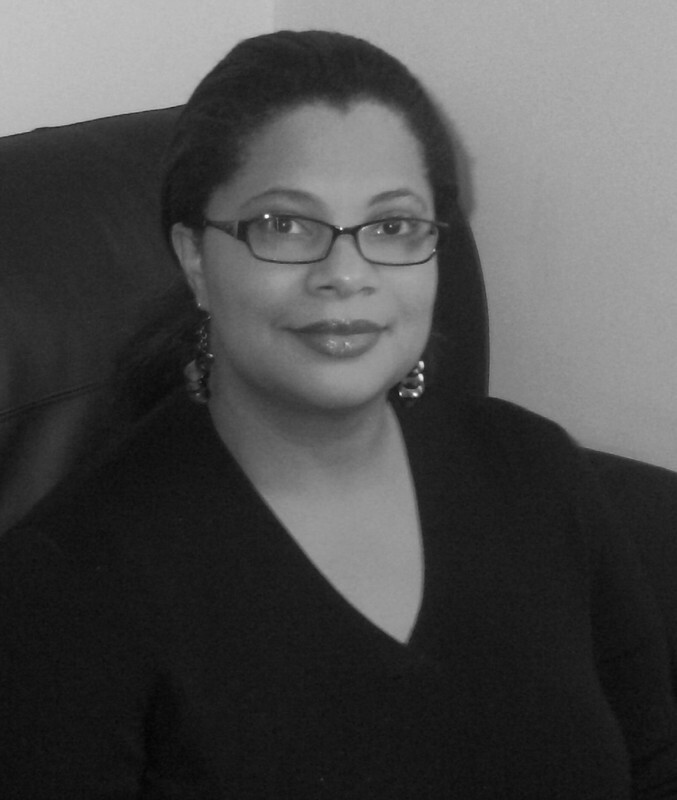 The doctor Lorena goes to after her shock and mild breakdown is a black woman. Here, Skull Mountain also uses another pillar of the Gothic: female fragility. Gothic tales are known for women screaming, fainting, being picked up and carried away by someone who is, at that moment, stronger. Some viewers detest portrayals of female fragility such as this, but in this instance I think it sends a powerful message about black women. In media, we tend to be portrayed in one light only, as the Strong Black Woman, uninterested in and not desirous of assistance from anyone. We are rarely, if ever, shown on film as delicate, soft, worthy of being saved. While Lorena stands up for herself on several occasions, she gets to a point where she just can’t do it any longer. It’s all too much. That’s when Pares places Lorena firmly in the Gothic heroine role, even down to her pale pink nightgown and peignoir set. Why is she a heroine if she doesn’t get in there and punch and kick and fight? Well, because she survives. When her ordeal is over, she gets up, puts on a fierce outfit and some lipstick and gets back to her life, stronger and wiser. Some may say Skull Mountain has a white savior complex, but I don’t think that was its intent. Victor French, of Little House On The Prairie and Highway to Heaven fame some ten years later, plays Dr. Andrew Cunningham, a descendant of the Haitian matriarch herself, but looks white. Only Phillippe remarks on his appearance, and asks what he’s doing at the Christophe house because he’s white. Andrew responds, “I don’t know what I am.” According to hypodescendant laws that ruled the US for over two centuries, and still bleed into society and culture today, one drop of black blood makes a person black. If you subscribe to this “one drop rule,” the scenes become about self-discovery and for accepting and wielding the strength and power of knowing yourself and your ancestry. Critics have said that the reveal of Andrew’s heritage was an attempt to avoid miscegenation, or mixing of the races. Racial mixing seems to have already pervaded the Christophe family through the generations, so I don’t believe Pares was trying specifically to avoid it. But Pares’s script and the film itself aren’t perfect. I would have liked to see some of the women in the film practicing conjure magic, even if it was done tentatively or under duress. Some of the screams sound forced and inauthentic. The matte painting, used to good effect in Hammer’s classic Gothic horror films of the 60's and 70's, is sadly lacking in this film. Cuts to the painting of the house atop a gloomy skull-shaped mountain are jarring and a tad cringe-worthy. See The House on Skull Mountain for what it is: Blaxploitation horror that defies even its own subgenre while it twines around another, and like the conjure magic at the heart of the plot, reveals itself slowly and only to those who truly want to listen. Fun fact: House on Skull Mountain was filmed in 1974 in Atlanta, mostly at Callanwolde, the Briarcliff Road mansion of Charles Howard Candler, son of Coca-Cola big shot Asa Candler.